Looking for... Nashville Singles Events, Nashville Singles Dances, Nashville Speed Dating, Nashville Singles Groups, Nashville Singles Activities, Nashville Singles Resources, Nashville Singles Networking Opportunities, Singles Dining Clubs, Events for Christian Singles, Jewish Singles and Mature Singles in Nashville, Nashville Singles Parties, Opportunities to Meet Singles, Find Clubs and Dating Sites, Social Events for Singles in Nashville, Local Singles Dating Opportunities... Single Dating Sites... Single Women... 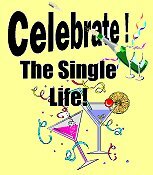 Single Men.... and the Nashville Singles Dating Scene ... and are tired of Singles Bars and are looking for nightlife in Nashville... well, you’ve come to the right place. Whether you're a Single Woman or Single Man this is your gateway to Singles Events and Activities in Nashville. It doesn't matter if you're looking for Speed Dating in Nashville, or just plain old fashioned Singles Dining - Singles Dance or Singles Social Events... this is the place to come. You might even find organizations for Christian Singles, Jewish Singles, and Mature Singles... as well as Networking Opportunities... and a whole lot more. Isn't it about time you got out of the house and lived it up a little?... here's your chance! Nashville Social Singles - This group is all about socializing and getting out an about. They offer a variety of activities such as a hike, a movie night, a trip or whatever sounds fun to you. Tennessee Hiking Group - Though not strictly for Singles, this group is for people who enjoy hiking, caving, camping, backpacking, and spending quality time in the outdoors. Singles 30-50 - They invite you to get out of the house, meet new people, and do fun things around town. - Go to movies, meet for dinner and drinks, or whatever is going on. Active Outdoors Nashville - Though not strictly for Singles, this group is for those who want to enjoy the outdoors, fun activities, traveling and genuinely open to getting out and meeting people and enjoying life. Middle TN 40+ Singles - This is a group designed specifically for all Singles in Middle Tennessee over 40 who want to make new friends and/or find someone special. Eat Love Nash - Though not strictly for Singles, this is a laid back social group that offers fun get togethers. They are open to all sorts of different activities from dining out to hiking to trivia. Events & Adventures - They hold various events each month for Singles from hiking, rafting, skiing and camping to dinners, dances, parties and theater. The Music City Beer Society - Though not strictly for Singles, this group meets at area places once a month in order to try different brews, discuss the latest news in brewing and around the world and just have a good time.